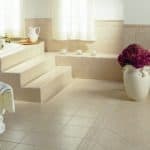 Ceramic tile is made from the same materials as porcelain tile, except for feldspar which lends hardness to porcelain and contains a slightly higher amount of moisture. 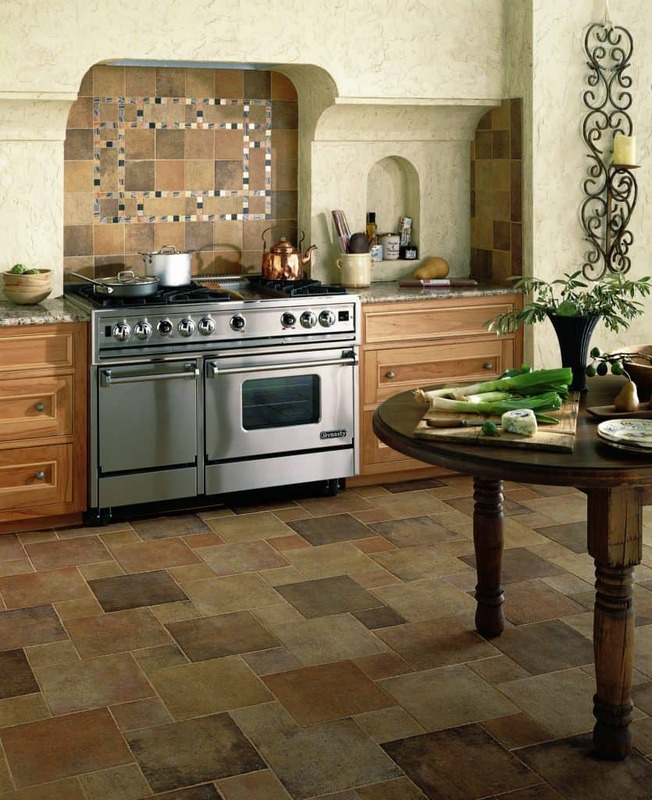 Ceramic tile is still a great flooring option or it can be used as a kitchen and bath surface. 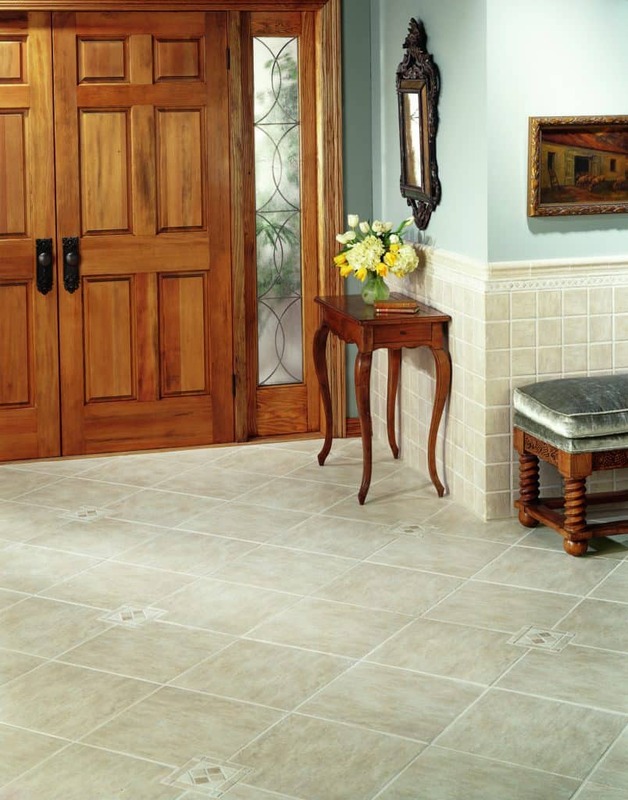 The Martin’s Flooring team can help you decide which type of tile flooring is best for you. 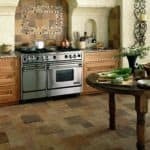 Whether you choose ceramic, porcelain, or a combination of each, you can depend on our highly trained sales and installation team. Feel free to visit any of our four locations in Denver, Harrisburg, Lancaster or Wyomissing for the friendly, knowledgeable assistance you deserve. Ceramic tile can be used to create intriguing floor designs. Because it is a bit softer than porcelain, it is better for use in lower traffic areas like bathrooms and kitchens. It is a great material to add texture and fire-resistance to kitchen countertops. 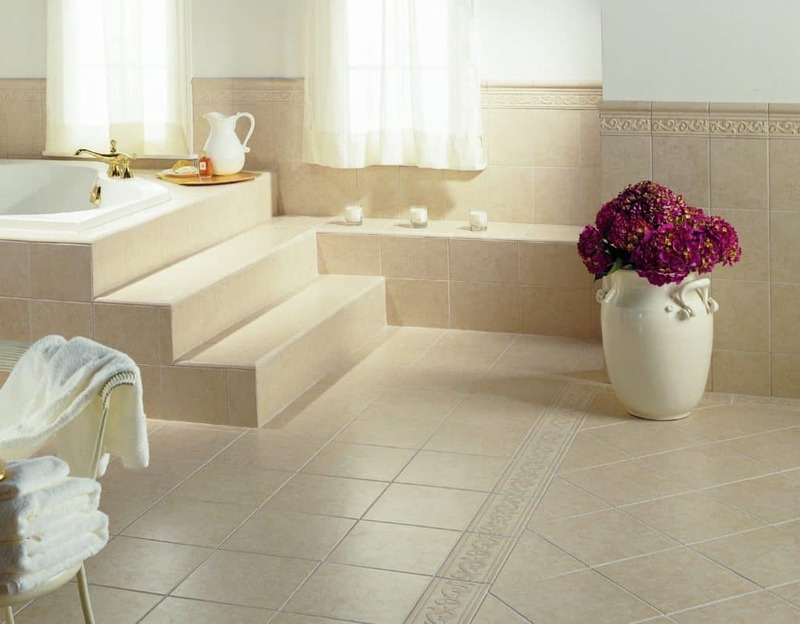 When used in the bathroom, either for flooring or as a shower enclosure, ceramic is an easy to clean material that mold and mildew will never grow on, reducing the potential allergens in your home. 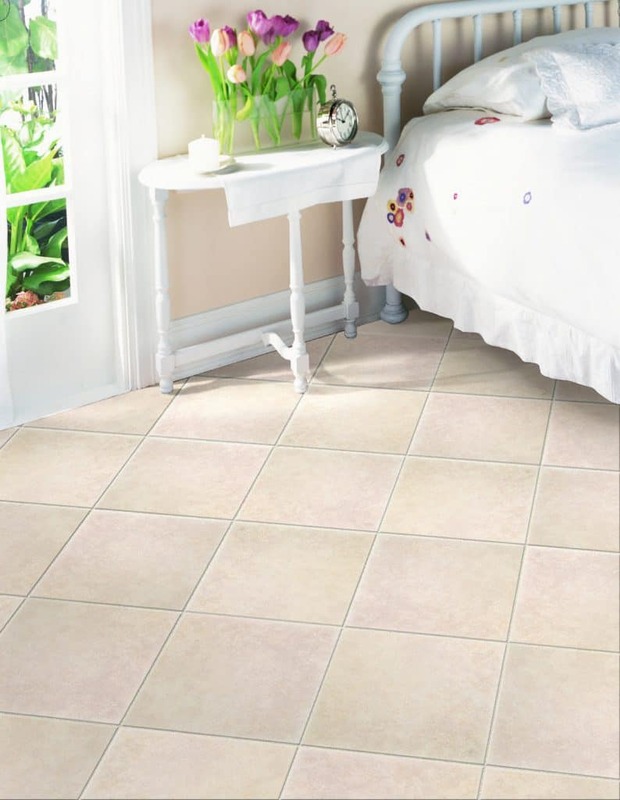 Ceramic tiles are moisture resistant. That means they will resist stains, mold, and mildew. They are easy to clean and maintain. Usually, all that is needed is a damp cloth or mop. At most, you may need to use a mild cleaner in shower areas to remove the soap build-up. 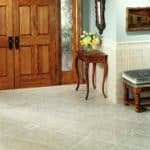 Since ceramic tile is a bit softer, it is easier to cut and shape during installation. That helps make it a less expensive tiling option than porcelain. Tiling is also a very environmentally friendly flooring choice. 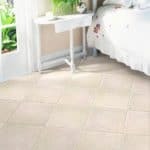 The main drawback to ceramic tile, especially when compared to porcelain, is that it is softer. While it is very scratch and chip resistant, it is less so than porcelain; however, the softness does make it less expensive to purchase.